Hear ye, hear ye! Lords and ladies! Knights, wizards, lute-slingers and plague survivors! 'Tis once again time to polish up your best full metal suit and remind yourself how to correctly drop "doth" and "thou art" into conversations. Whyest? 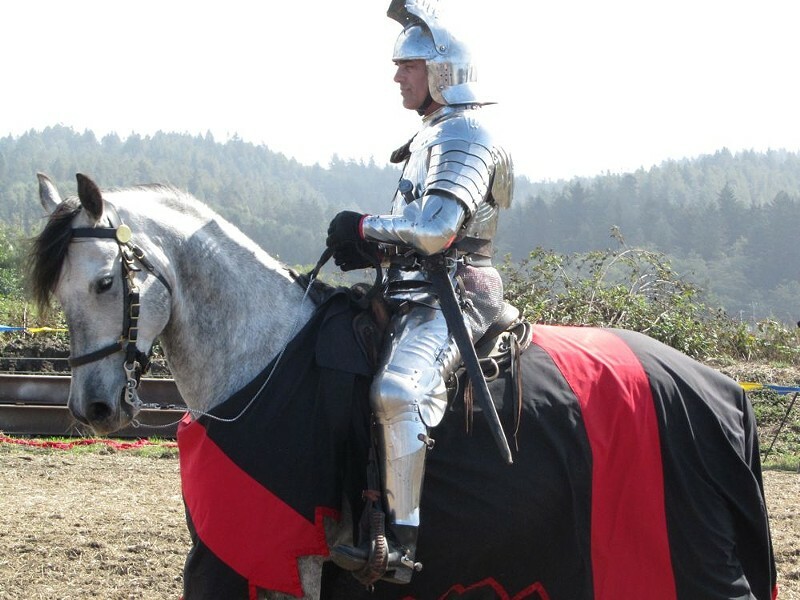 This weekend marks the return of the Excalibur Medieval Tournament and Market Faire, one Humboldt's top two Middle Ages-themed festivals, taking place Saturday and Sunday, Sept. 29 and 30, out on Janes Road in Arcata near Mad River Community Hospital. Huzzah! Other than some good Halloween practice, whatest hath the villagers in store? Welleth! The Seattle Knights will provide full-armored “cutting edge” sword fighting and jousting demonstrations for the assembled peasants. Also, saddle up on the world’s largest ridable rocking horse courtesy of Rockinghorseguy. Plus, enjoy the magic vaudeville of The Mystery Brothers, Lynx the Animator and Sabastian Stone. Of course you there’ll also be plenty of market booths peddling grub, ale and local artisan goods. The makeshift streets will be filled with the sounds of The Wandering Thistle, minstrels with violins and drums who will make you forget about this week’s dragon attack. Tickets are $8 for grownups, $5 for dragon slayers 5-18, and free for the really wee ones. For lots more info on the Excalibur Faire (and some nice autostarted lute pickin’), head on over to excaliburfaire.org. We’ll remind you, of course, that should you not get your fill of ye olde festival goodness, Coastal Grove Charter School's 10th Annual Medieval Festival of Courage invades Christie’s Pumpkin Patch in Blue Lake on Oct. 13 and 14. So, thou hath options.